Brand designed to be colorful and have the feeling of movement much like waves or lights. 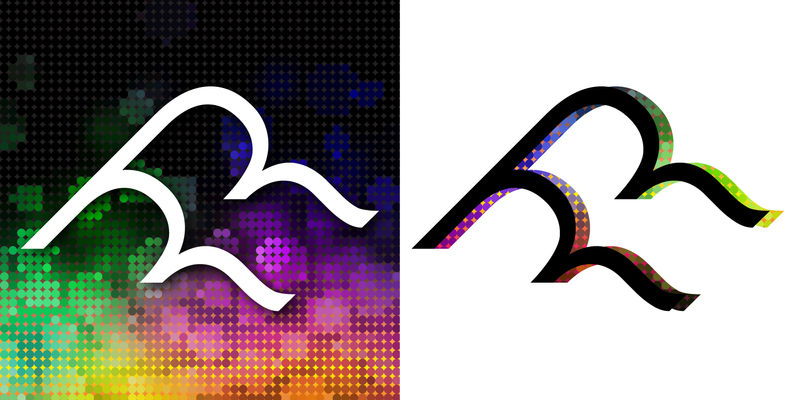 Secondary Logos created to look like waves or clouds using only typography. Created new brand for high-energy party band located in Salt Lake City, Utah. The Current plays all of the latest/current hits and takes older songs and modernizes them giving them a current era sound.